Lortie performed on the 24. July 2018 at London’s Royal Albert Hall with the BBC Philharmonic, as part of the world famous BBC Proms season. The BBC Proms is a classical music festival held every summer at the Royal Albert Hall in London. 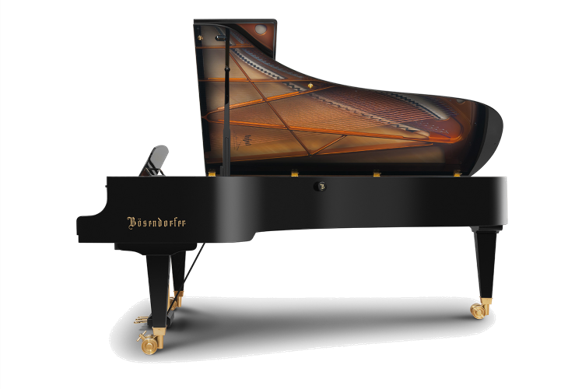 "I was thrilled to be able to perform on the Bösendorfer 280VC at the Proms. The gravitas of the deep sound had so much meaning in the slow movement of Schubert’s Wanderer." Louis has built a global reputation as one of the world’s greatest pianists and is most discerning in his selection of instruments, ensuring they perfectly match his renowned interpretive style and exceptionally broad spectrum of repertoire. This characteristic symbolizes his refusal to become known for any particular style and was evident at the BBC Proms performance, where both Bösendorfer and Louis shone brightly to a captivated audience. View more information about Bösendorfer pianos here.